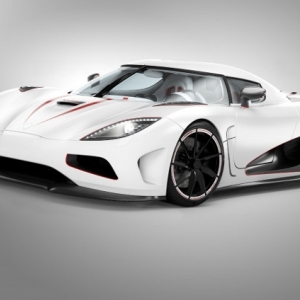 Debuted at the 2011 Geneva Motor Show, the Koenigsegg Agera R was immediately christened the ultimate supercar to challenge the supremacy of the Bugatti Veyron SS. 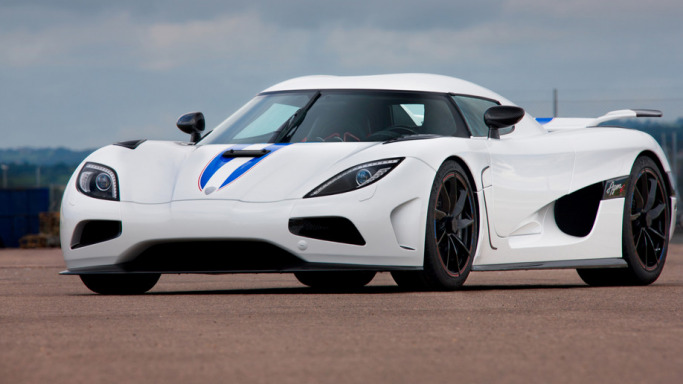 The special edition Agera run on biofuel and the mid-engined sports car was shown off with a Thule Roof Box, special Michelin tires and a livery theme inspired by ‘Speed Racer'! 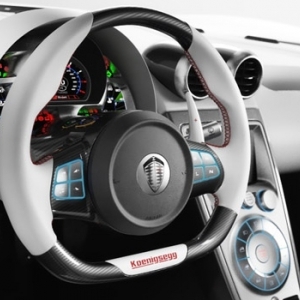 The cabin of the Koenigsegg Agera R comes fitted with ‘Ghost light’, an innovative lighting system that offers a very clean and stylish appearance to the interior by providing excellently visible symbols. 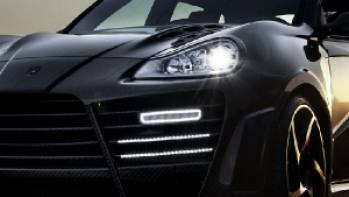 Invisible nanotubes are used throughout the interior surfaces and the billet aluminum buttons allow them to illuminate through creating a stunning lighting effect. 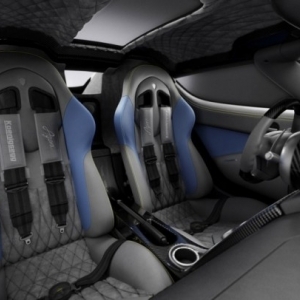 The tunnel assembly and centre console is crafted out of carbon fiber and frames the dash brilliantly. 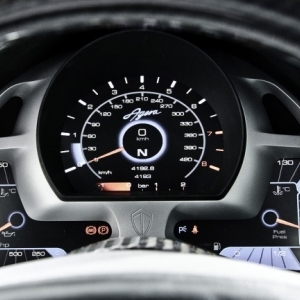 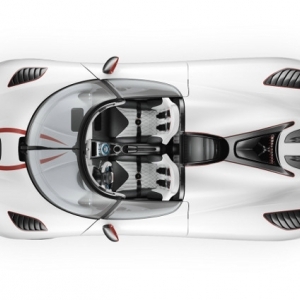 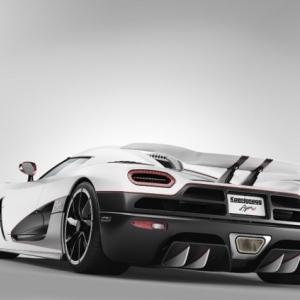 The Koenigsegg Agera R boasts of Christian von Koenigsegg’s ingenious vision throughout. 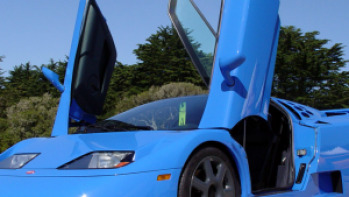 The model features a dynamic rear wing that reduces wind resistance and forces the wing downward at high speeds to counter the pressure of the wind. 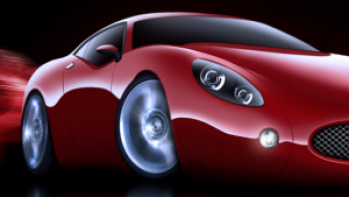 In comparison to conventional hydraulics, the system is much lighter and can instantly account for tailwinds or headwinds. 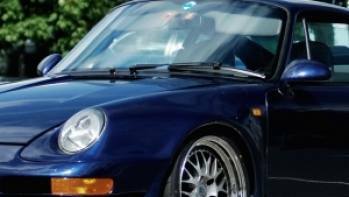 At the front, the model comes with 19-inch aluminum wheels and houses 20-inch wheels at the rear and are wrapped in bespoke Michelin Supersport tires. 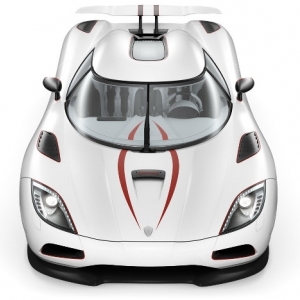 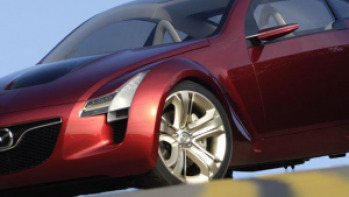 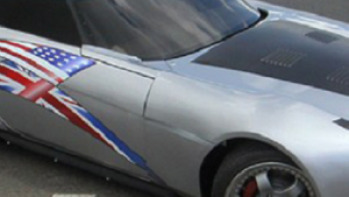 The model’s hybrid carbon fiber/aluminum structure is an evolution of the one used in CCX.